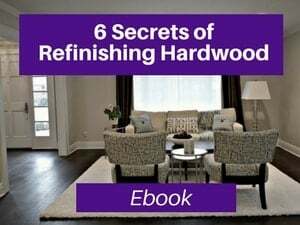 Are you wondering how you can avoid that yellow look on your hardwood floors? 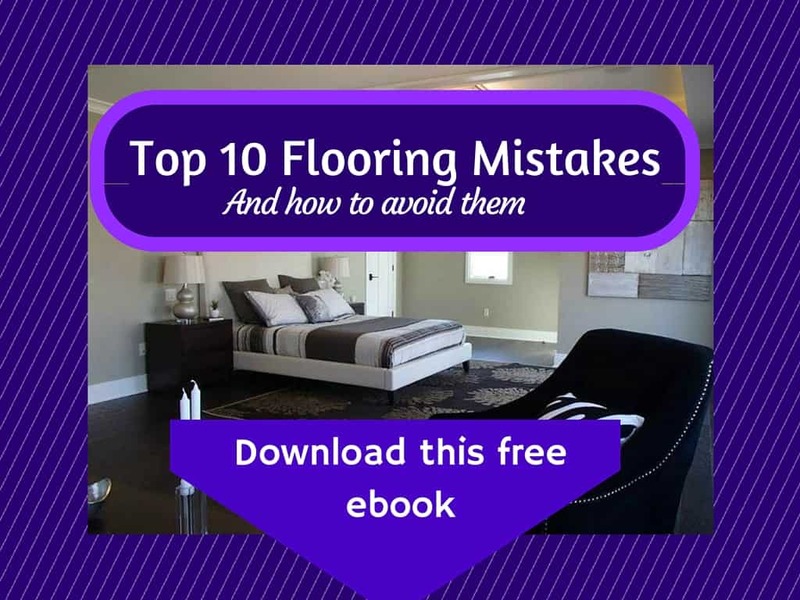 Yellow is very dated, and the polyurethane you use (the type and the brand) can have a major impact on the appearance and color of your flooring. 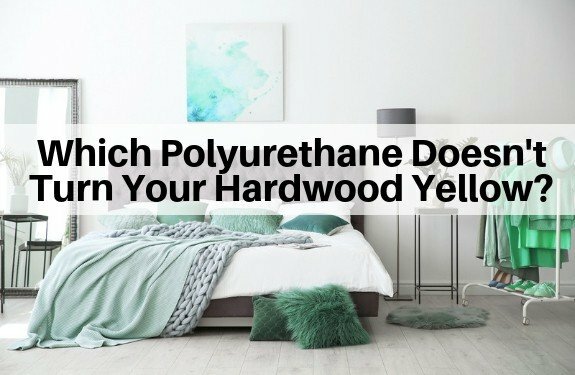 Yes, many types of polyurethanes will turn your hardwood yellow…and they will continue to amberize and become more yellow (and even orange) over time. But, I’m happy to report that there are exceptions…and yes, you can have light hardwood without the dated yellow. 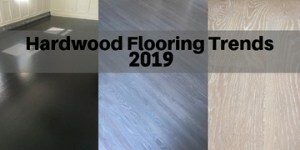 In this article, I will share the types of poly and better yet, the specific brands of polyurethane, yous should he ones to use (and avoid) to prevent yellowing in your floors. I will also share the ones you want to avoid. Please note that this article contains affiliate links. That means I may earn a small commission if you buy them. You can read my full disclosure at the bottom of the page. 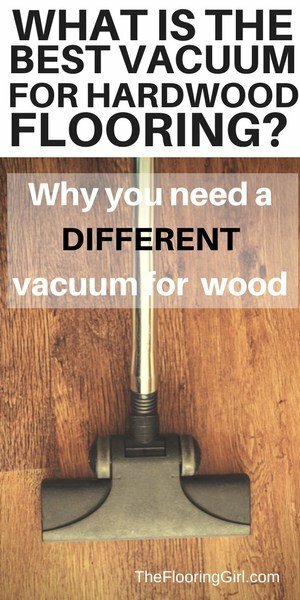 What causes hardwood floors and polyurethane to yellow? 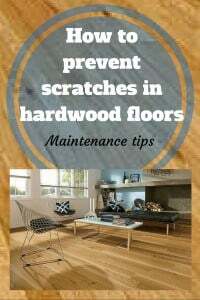 There are 3 main causes of yellowing in hardwoods. The first is that some species are just naturally yellow (especially pines) and they become more yellow over time due to the UV rays from the sun (especially pines, bamboos and maples). The 2nd major cause is the polyurethane used. Oil based polyurethanes turn the floors yellow…and over time, they become more yellow…and sometimes even a bit orangish. It’s the UV rays from the sun that turn them a darker yellow or amber and the more they are exposed over time, the yellower they get. This holds true for viirtually all species. There is a very simple solve to this issue (see below). The 3rd factor is that some people use lighter stains that have yellows or amber colors in them. These used to be popular 20 years ago. 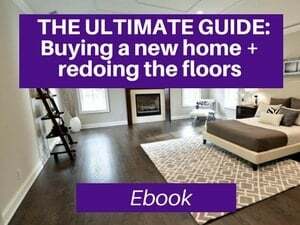 The good news is that this is the simplest issue to eliminate…just sand and refinish the floors and voila, you’ll be working with fresh bare wood again. 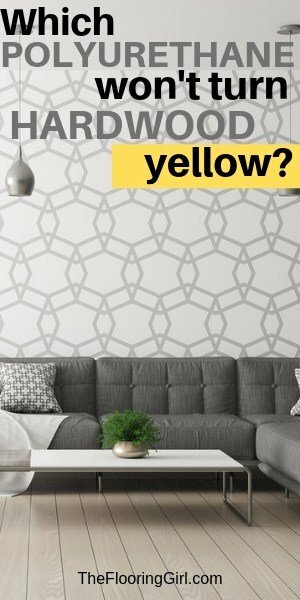 Which types of poly yellow less? If you want to avoid the yellow, use a water borne polyurethane (e.g. Bona Traffic HD). They are much lighter and more clear. 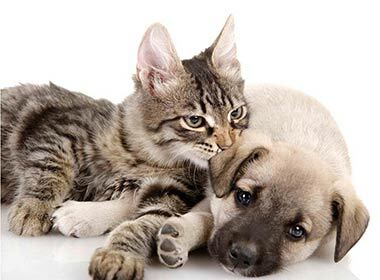 Oil based polyurethanes will give you a yellowish coat, so your floors will have a yellow tint. They will continue to get darker and more yellow over time. Now, it’s not quite as simple as just use a water based poly. Because many water polyurethanes will still have some yellow, especially the cheaper and mid-grade brands/lines. And, even though some of these will go on clearish, the cheaper ones will yellow more over time. Check out the next section to see my top brand selections. Now I want to clarify, that you can never full get rid of the yellow no matter what you do. 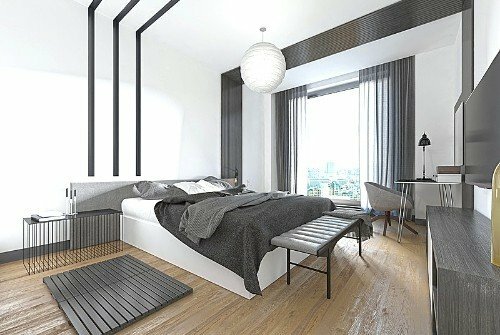 Over time, the wood oxidizes from the UV and other natural elements and the poly can too. Everything is a matter of degree. But, there is a clear distinction based on the brand and quality of the poly. And, there is a difference in durability. Which specific polyurethane brands yellow the least? 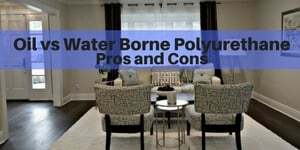 Here are the 5 best brands of water borne polyurethane that yellow the least and are the most durable. The first two are super high grade and I’ve given them 5 stars. The middle 2 are very good (4 star) but not as durable and tend to slightly yellow. The 5th one is a mid grade water based poly. It’s good, but not as durable as the others. Bona Traffic HD is always my top recommendation for water borne poly as it looks the best, yellows the least and is the most durable. You’ll be happy to know that it’s very low VOCs (perhaps the lowest in the marketplace), doesn’t smell much. 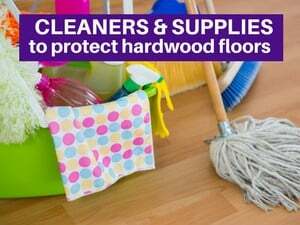 The minor odor dissipates really quickly and floors both dry and cure faster. 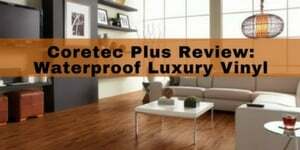 You can read a more thorough review of this and other great water borne polyurethanes here. The HD stands for heavy duty, and this is commercial grade meaning it’s strong enough to hold up well in busy restaurants and other businesses. This is the polyurethane we use with gray, gray blends, white washes and natural floors. Loba is another awesome polyurethane on the marketplace. It doesn’t yellow and it claims to be just as durable as Bona Traffic HD. We have used this product and so far love it. We haven’t had any complaints about it. But, since it’s a new product, it hasn’t stood the test of time at this point. It’s really best to check on the floors 2 years later, so perhaps in a year or so we can provide more insight. StreetShoe is another great choice for water borne poly. It used to be the gold standard (and we used to use it) until Bona Traffic HD came along. tt’s a durable polyurethane that lasts much longer than virtually all water based polyurethanes on the market. It also costs a bit less than Bona Traffic HD, but yellows a bit more and doesn’t last quite as long. But it’s head and shoulders above most water based polyurethanes. Pall-x 96 is a new water based polyurethane to hit the marketplace. It promises high durabilty, low odor and resistant to UV rays. It’s approved for light commercial, so it’s durable, but doesn’t appear to be as durable as Bona Traffic HD which is designed for heavy commercial establishments. This product is super new to the marketplace, so we haven’t had a chance to test it and you won’t see many reviews in the marketplace yet. Bona Mega Clear HD is a new item in the Bona Mega line. The Bona Mega line is what I consider a mid-grade water borne poly. It does the job, but it’s less durable that oil based poly or than Bona Traffic. If you’re looking for a good value water poly, this is it. But, if you want a high grade, pay the extra for Bona Traffic HD. It will probably last an extra 3-4 years (and look better). This new item is better than the standard Bona Mega in terms of yellowing…i.e. it yellows less. The durability is te same as the rest of the line. 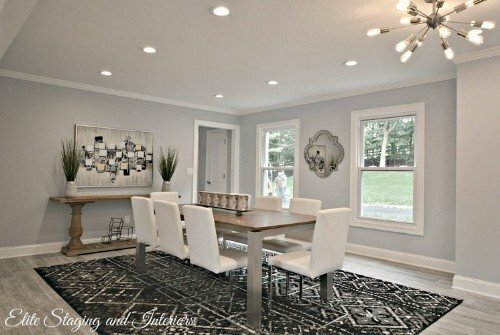 What if I have dark hardwood floors? Do I need to worry about them yellowing? 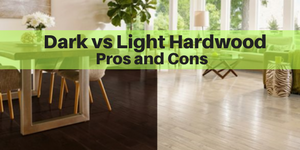 If you have dark hardwood floors, you will not notice the yellowing from the polyurethane, as the stain color is much darker and will shine through. 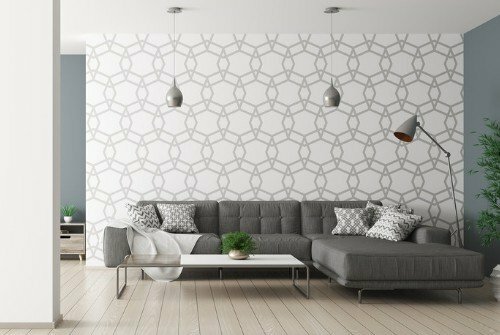 You can use either oil based or water borne polyurethane, pending on your preferences in appearance, smell, drying time and price. For dark colors, I prefer the look of oil based poly as it give it a deeper, richer and slightly darker look. It has more depth and looks more premium with oil based poly. My recommendation is Duraseal for oil based poly. With water borne poly, the color will be a bit lighter and the finish a bit duller. But, the smell be lower and it will dry faster. As I mentioned above, Bona Traffic HD would be my first choice. 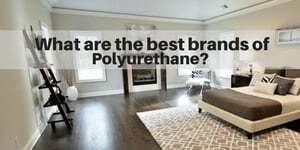 Are water borne polyurethanes weaker than oil based poly? No, not necessarily. There are several high grade water based polyurethanes, including Bona Traffic HD and Loba that are just as durable as oil based poly. It’s also true that there are many low and mid grade water-borne polyurethanes that are less durable than oil based poly. You need to delve deeper to understand the brand and line. You can read more about the best (and the worst) polyurethanes in this article. Do water based polyurethanes turn yellow over time? Water borne poly yellows less than oil based poly (which turns very yellow). The the amount of yellowing over time will vary based on the strength and grade of the polyurethane. Both wood and poly will react with UV rays. The high grade water based polyurethanes such as Bona Traffic HD and Loba will have minimal yellowing, but mid grade, low grade and oil-modified poly will have more significant amberizing. Does oil modified polyurethane yellow? Oil modified polyurethanes are a mix of oil and water based poly. They tend to go on less yellow than an oil based poly but slightly more yellow than the high grade water based polyurethane such as Bona Traffic HD and Loba. They have a slightly amber tone. And, importantly, they yellow more over time and they aren’t as durable. The easiest solution is to use a high grade water borne polyurethane that has UV protection in it (such as Bona Traffic HD, Loba or Pall-x 96. In addition, you may want to look to see how you can reduce the UV entering your home. 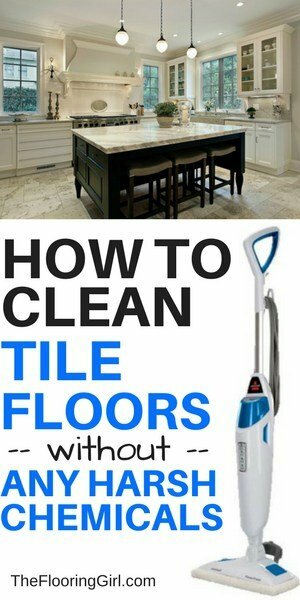 Not only will this help your floors, but also your furniture, area rugs, as well as your skin. 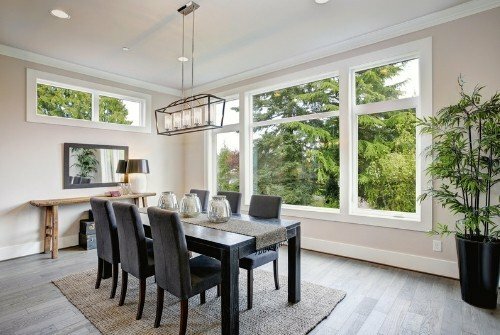 Do you have window treatments/sheers that can reduce the UV rays or high grade windows that reflect some of it. I believe you may also be able to line your windows with UV film. If you’re looking for a way to avoid the yellow in your hardwood floors, use a high grade water borne polyurethane. 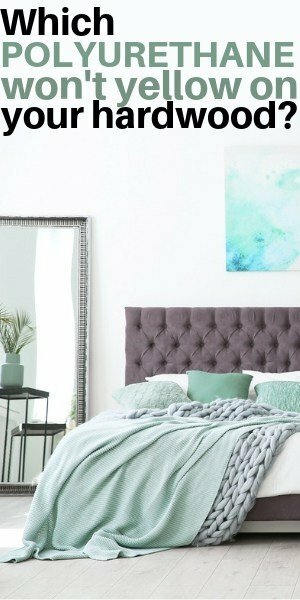 This will give you a lighter and more contemporary look. 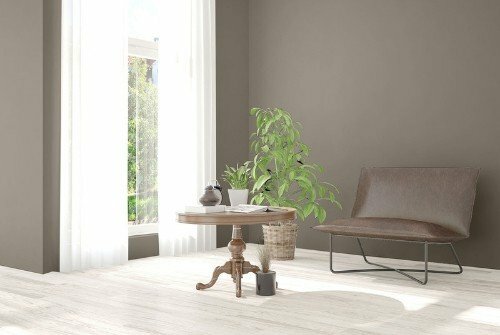 It works especially well for natural, white washed and gray (or gray blend floors). I’d highly recommend that you go with the more upscale brands of Bona Traffic HD or Loba as they look better and yellow less…and, they last longer. Which Polyurethanes yellow the least over time? Is Bona Traffic fairly straightforward for a DIY project? Or is it better to leave this kind of application to a professional? Margaret -Sanding is not a good DIY job no matter what poly you use. But, if you use a water based poly (which is thinner), it tends to show the amateur mistakes more. How dark does the floor stain need to be for oil-based polyurethane to edge out something like Bona Traffic? For example, would a dark walnut stain qualify? Angela – I’m not sure if I understand your question. But, generally when you get to around medium brown and certainly at antique brown you won’t notice the yellow from the oil based poly. There are some such as special walnut or provincial that may not show the yellow initially, but over time as they continue to amberize, then you may notice the yellow. The darker you go, the less you notice i. This is a wonderful post that clears up a lot of confusion. There are so many options out there, it’s almost paralyzing! Carrie – Oh good, I’m so glad to this. 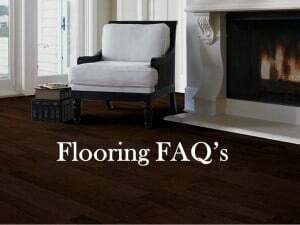 Yes, a lot customers seem to be confused on what causes the yellowing in hardwood and which poly works best for this. For pine floors, is it better to stick with oil-based polyurethane? 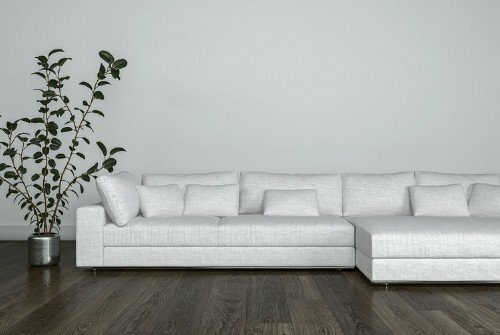 It has a yellow hue and it also is a soft wood, so I was wondering if that would impact the choice. Emilia -This is really a judgment call. It you like the yellow/amber and want to celebrate, go for oil based poly. If you want to cut the yellow and go a big lighter, then choose the water borne polyurethane. They can both work based on they look you prefer.